The Rev. Charles Fletcher Dole (1845-1927) served for more than forty years as pastor of the First Unitarian Church in Jamaica Plain. His work for peace and free speech influenced Nobel Peace Prize winner Emily Balch. 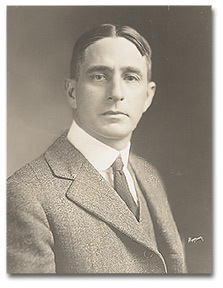 His son, James Drummond Dole (1877-1958), studied agriculture at Harvard’s Bussey Institute (now the Arnold Arboretum). He traveled to the Sandwich Islands in 1901, where he is credited with establishing the Hawaiian pineapple industry. From the records of the 25th anniversary class book of the Harvard College Class of 1899, published in 1924. Born: Jamaica Plain, Sept. 27, 1877. Parents: Charles Fletcher Dole, Frances Drummond. School: Roxbury Latin School, Roxbury. In College: 1895-99. A.B., 1899. Married: Belle Dickey, Boston, Nov. 22, 1908. 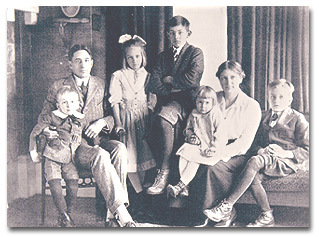 Children: Richard Alexander, Oct. 28, 1907; James Drummond, Jr., Feb. 6, 1910; Elisabeth, Apr. 25, 1911; Charles Herbert, Oct. 30, 1914; Barbara, Oct. 10, 1916. Occupation: President and Manager Hawaiian Pineapple Co. Following my inclination toward an agricultural pursuit and the lure of Hawaii, then recently annexed to the United States, I landed in Honolulu on November 16, 1899; and within two weeks found the town quarantined for six months by an outbreak of bubonic plague. During that winter I saw the fire department, with the timely aid of a stiff trade-wind, burn down all of Chinatown (the intention having been to disinfect in this thorough manner only one or two blocks). In July, I bought a government homestead of sixty-four acres, twenty-three miles from Honolulu, and on August 1, 1900, I took up my residence thereon as a farmer—unquestionably of the “dirt” variety. After some experimentation, I concluded that the land was better adapted to pineapples than to peas, pigs or potatoes, and accordingly concentrated on that fruit. Pineapple growing created the necessity for a market, and in order to enlarge the market to the entire United States (and other countries) and to extend the marketing season throughout the entire year, a cannery seemed necessary. This meant that money had to be raised and a company started, and this necessitated more land, which had to be leased. I started my first pineapple plants in the spring of 1901, our company was incorporated in December of that year, and in the summer of 1903 we put up our first season’s pack of 1893 cases. In 1923 we packed 2,038,671 cases, or 43,497,828 cans. The period between has been one of repetitive cycles of more land, more pineapples, more cannery. Our plantings in 1923, if extended in a straight line, would have made a double row from New York to San Francisco. In answering the question as to my hobbies and recreations, I may say that I am the worst golf player in the Hawaiian Islands, but will try to match fish stories against any member of the Class. From the records of the 50th anniversary class book published in 1949. I derive satisfaction from seeing the dream of my prospectus of 1901 come true—Expand the market for Hawaiian Pineapple to every grocery store in the United States,’ from the enjoyment by millions of a wholesome and palatable food, from my part in the too-long delayed development that made it possible for the public, who didn’t eat all the pineapple production of the 1930-33 depression years, to drink the surplus and put the industry by 1934 on a balanced basis; a little, from sundry agricultural and manufacturing developments in which I played a minor part; from seeing the need for a quick and efficient way to get pineapple juice out of a can and having the American Can Company develop, within six months of my request, the answer in the form of what is now known as the beer can opener (two years before canned beer hit the market). 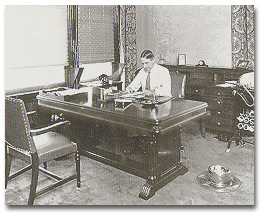 In August, 1948, I discontinued connection with the Hawaiian Pineapple Company as director and chairman. My influence had been almost wholly ineffective since some months before I was forced to resign as manager. It is too soon to know whether my activities of the past ten years will live after me or be interred with my bones. I am still working on new things and as from early years, trying to use scientific approaches. Four beet sugar factories are now using our exchangers for taking impurities out of sugar juices before instead of by and after crystallization, a pet objective of mine. One of our companies has developed a new apple juice which carries the natural flavor of the apple, ‘Liquid Apple’ juice. I am devoting much of my time to certain food and food equipment developments which seem to merit attention. I am distressed at the parlous state of the world, at the imminence, at least in India and China, of the possible proof that Malthus was no idle dreamer, and at the apparent lack of human capacity to organize mankind for the safe and humane guidance of atomic energy. Jim died in May 1958 after a series of strokes and a heart attack. He is buried in Makawao, on the slopes of Haleakala facing Maui Pineapple company’s pineapple fields, at the grave site of Belle’s family. Next to Jim is his wife, Belle, who died in November 1972. He is no longer with us, but he left behind a legacy. He left behind a reputation for honor, integrity and high moral caliber in his business dealings and his life as a whole. What he did for his workers was way ahead of his time. 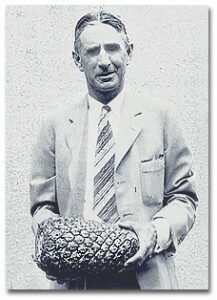 He left behind the pineapple industry that he had pioneered, and which came to be the second largest industry in the islands, producing in 1930 ninety percent of all the canned pineapple produced in the world. The pineapple industry is no longer as important to Hawaii as it was, because other places are canning pineapples successfully and more cheaply, but the cannery he built is one of only two still canning pineapple in Hawaii today. 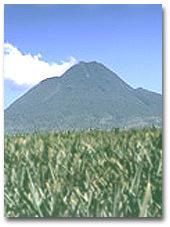 The other one is Maui Pineapple Co., a wholly-owned subsidiary of Maui Land & Pineapple Company, Inc. He left behind at least two of the companies he had started in California which continue today, James D. Dole Corp. and Chemical Process Company. He also left behind the Pennask Lake Club, which continues. He left his name, which had become so identified with quality that is being used more than it ever was when he ran Hapco. Next to “Kraft,” “Dole” is the best known brand name today. His name is now used with products which have nothing to do with pineapples, such as bananas, fresh vegetables, raisins, dates, almonds, pistachios, etc. and with fresh kiwis, lemons and oranges in Japan. And his name is still associated with pineapples, not only with Dole Hawaii, which packs 225,000 tons, but with Dole Thailand, which packs 200,000 tons of fruit per year and Dole Philippines, which packs 380,000 tons. Jim’s heritage also continues on in his descendants. 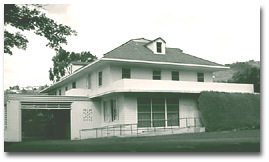 Unitarians in Hawai’i first came together in a lay led fellowship in 1952. The fellowship grew into a congregation that became a church with a minister in 1957. Some of the founders continue their active participation in the First Unitarian Church of Honolulu today. In 1962, the Church purchased and modified a spacious residence in Nu’uanu Valley, an ideal location for an island-wide congregation. It houses our Sunday morning services, adult and children’s religious education, offices and meeting rooms. Space is also made available to other religious groups and community organizations for meeting and special events. Dole, Richard and Elizabeth Dole Porteus. The Story of James Dole. Aiea, Hawai’i: Island Hertiage Publishing, 1990).